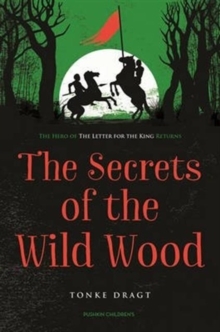 A Sunday Times and Daily Telegraph Book of the Year ‘Fans of The Letter for the King will be delighted with its sequel’ Sunday Times ‘Action-packed drama’ Daily Mail One of the King’s most trusted knights has vanished in the snow, so young Sir Tiuri and his best friend Piak must journey into the shadowy heart of the forest to find him. The Wild Wood is a place of mysteries, rumours and whispered tales. A place of lost cities, ancient curses, robbers, princesses and Men in Green.